I posted a while back about some new core shades coming to the Julie G line, I LOVED the one I previously posted (It was orange, right?? ), and I've got another for you today!!! 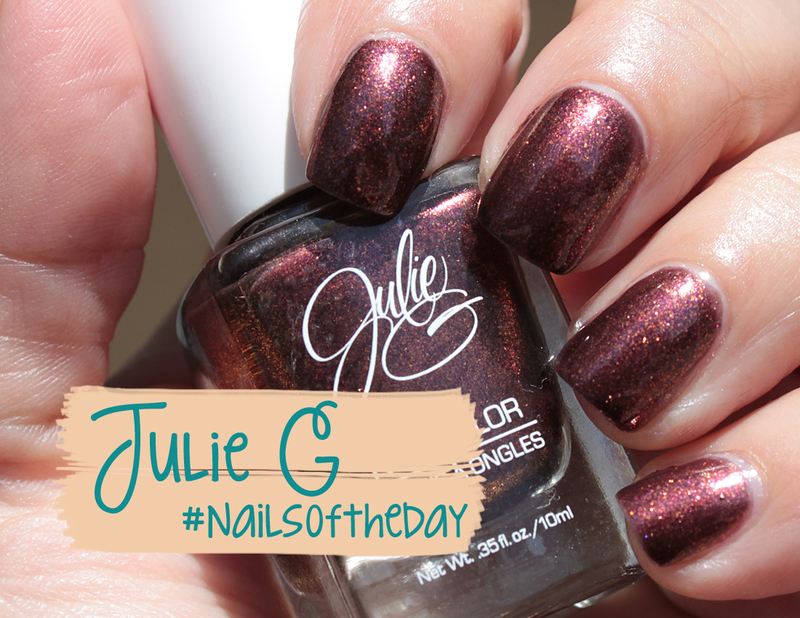 This is #nailsoftheday (yes, hashtag and all), and it's a deep dark burgundy with goldish shimmer. This one is great in 2 coats. I had no issues with the formula at all, and it went on super easy. The shimmer makes it kind of glow. I don't know what's up with my pointer finger It kind of looks like there's a dent in my polish, but I don't recall having one or seeing it the day I wore this - who knows!